With gilt. 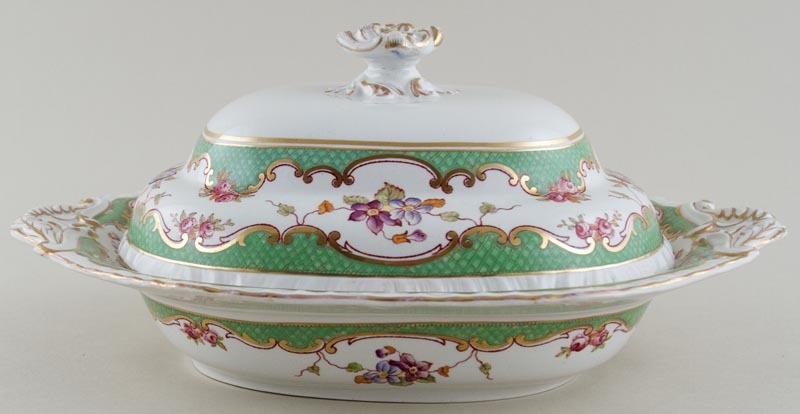 An extremely ornate dish with moulded side handles and finial to the cover. Backstamp: Ashworth Bros Real Ironstone China. There is a little wear to the gilt and a few blemishes. Also to the lid is a little wear underneath and a small hairline by the finial and underneath the dish some wear. OVERSEAS SHIPPING OUTSIDE EUROPE Owing to the size of this item a supplement of � about US$52 will be added to the standard overseas shipping charge.